For many Fallon Middle School parents and students, Joy Sherratt is best known as a popular physical education teacher. What you may not know is that Joy is an accomplished singer and actress. 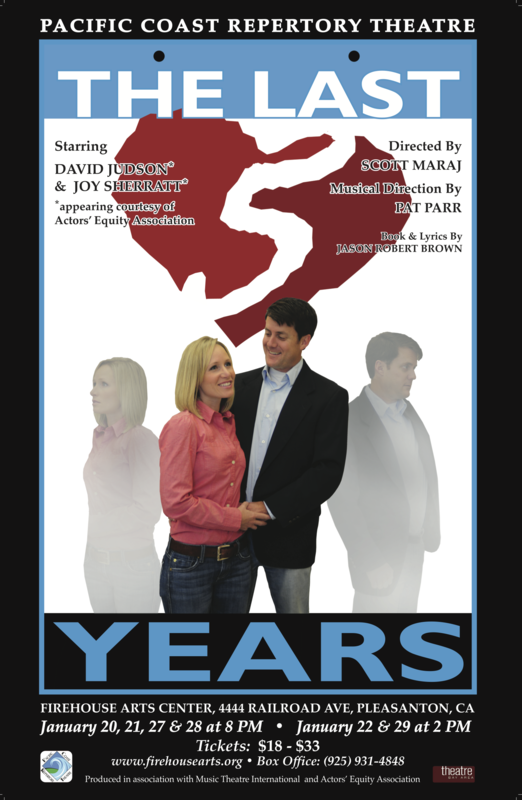 Fortunately, Tri-Valley residents have an opportunity to see Joy’s talent on stage this month in the Pacific Coast Repertory Theatre‘s production of “The Last 5 Years” at Pleasanton’s Firehouse Arts Center. Joy earned a degree in Drama from the University of California – Irvine and later added a Masters Degree in Education. Joy Sherratt: “‘The Last Five Years’ is a story of a relationship between a young couple as they fall in love, get married, and settle into a life together. It is a journey that we can all relate to and is told through spell-bounding music. It is one of my favorite pieces of musical theatre and we hope you too will come experience what we are so excited about. We have an amazing 2012-2013 season lined up-to be announced soon! In the meantime, see you at the show! The critically acclaimed professional actors from the recent Pacific Coast Repertory Theatre production of ‘Chicago’ Joy Sherratt (Roxie) and David Judson (Billy Flynn) are supported by an experienced orchestra led by Pat Parr (Bay Area Critics Award) for a thought-provoking night of musical theatre in Jason Robert Brown’s sizzling ‘The Last Five Years’. The production opened Friday January 20 and continues Jan. 21, 27 and 28 at 8pm and Jan 22 and 29 at 2pm. Pleasanton’s Firehouse Arts Center is located in downtown Pleasanton at 4444 Railroad Ave.